Only a few more shopping days until Christmas, and we have a great last minute holiday gift! Long Dance Home by Julie Mayerson Brown is now available and is a perfect treat for your friend who loves the holidays, romance, and warm and fuzzy reads. The novel is about Cece Camden, a ballerina who thinks she’s got life planned out. Until she loses her job and boyfriend, and she finds herself back in the Northern California wine country town where she grew up. Her retreat home was supposed to provide comfort, but instead it opens old wounds, secrets, and forces Cece to reexamine her life: past, present, and future. The book has been called “a perfect, cozy read for the holidays.” So grab your copy before this weekend and enjoy Novel2Screen’s interview with Julie Mayerson Brown! Chris: Long Dance Home is about a ballerina returning to her hometown. Were you a dancer? Julie: I was not a ballerina; however, I’ve always loved ballet. One of the challenges for me in writing Long Dance Home was that I did not know a lot about the art of ballet. I did much research, which was both fun and fascinating. Chris: What was the inspiration for the novel? Julie: A few years ago, I read an article about a former ballerina, and my imagination went from there. Why did she quit? What did she do after that? How did quitting ballet affect her life? The story didn’t go anywhere, so I set it aside. Then, one day I pulled it from the bottom drawer (actually, a hidden file somewhere in my computer) and started again. But this time I made it a holiday story. Once I had Christmas and a small town and a loving, crazy family to work with, the story really came together for me. Chris: Which character did you love to write in the novel? Julie: All of them, of course, but Patty, Cece’s quirky friend, delighted me to no end. At one point, she tried to take over the story. She’s very demanding, you know! Chris: Which character surprised you as you wrote the novel? Julie: Well, I don’t want to put any spoilers in here, so the one that surprised me the most I’m not going to mention. After that character, I’d name Brad [Cece’s suitor]…. Damn! He just kept getting better and better. Another surprise, or perhaps a realization, was how significant Ilana, Cece’s former ballet instructor and Natalie’s mom, became. Ilana’s illness was the major trigger that set the story in motion. Chris: You state if you love Hallmark movies, you’ll love Long Dance Home. Do you have plans to adapt it to the screen? Julie: Oh, how I hope to do so one day. Anybody know anyone at Hallmark? Chris: What is your favorite adaptation? Julie: People are often disappointed by screen adaptations of beloved novels. 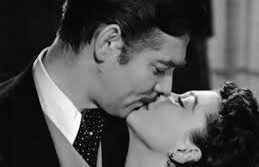 My all-time favorite, of course, is Gone with the Wind. I also loved Girl with a Pearl Earring, and I thought it worked beautifully on the big screen. I could go on and on with this question – there are so many! Chris: What do you hope readers take away from Long Dance Home? Julie: More than anything, I hope readers just enjoy it. I write because I love to tell stories and to entertain. I don’t aim to teach or preach. However, a major theme in Long Dance Home is forgiveness, letting go of resentment. If a reader recognizes something in herself on that level, that would be a wonderful thing. Fiction can have a tremendous impact on readers and how we view ourselves and our relationships. Chris: You’re open on your blog that 2016 wasn’t the best year for you personally. Then 2017 hit and you were diagnosed with breast cancer. How did that impact your writing and this novel? Julie: Briefly, having a serious health issue pushed me to reevaluate why I write. And the answer was right there. I write to give – give what you ask? First of all – enjoyment. I want my readers to enjoy what I write, from a short blog post to a complete novel. If readers are moved or comforted or inspired, that’s icing on the cake. Chris: Can you tell us more about “What to Give” and how it will work? Julie: Well, after that epiphany about why I write, I had another one! I would use Long Dance Home as a way to give back. This holiday season, I’ll be donating copies of my book to women with breast cancer – a gift from one survivor to another, a simple gesture that says, “You’re not alone, and by the way here’s something I think you’ll enjoy.” Finally, a book is great vehicle for fundraising. I’ve already participated in two fundraisers in which I provide my books for sale, and 100% of my profit is returned to the organization. Chris: I loved your essay “Confessions of a Conference Junkie.” Besides ditching the red bag, what advice do you have for writers? Julie: Connect with other writers – don’t just hang out with the buddy you went with. I’ve met great people at conferences – it’s where I met you, Chris! If it’s an overnight conference, try to stay at the venue or at least close by. Sometimes the best sessions and interactions happen organically when people are just hanging out late at night. Spread yourself around – eat meals with different people, join conversations (politely), take advantage of every opportunity to hear speakers. But be sure to plan your schedule and organize where you need to be when. There’s a lot of logistics involved! Dress professionally yet comfortably. Finally, don’t be shy – easier said than done, I know. Chris: What books are you reading now? Julie: I just started Manhattan Beach by Jennifer Egan, an historical novel set in New York during WWII. I’m also reading a book by Rabbi Steve Leder: More Beautiful than Before – How Suffering Transforms Us. Not to sound over the top, but this book is life-changing. You can grab your paperback or Kindle copy of Long Dance Home here. To read more of novel2screen’s author interview series, click HERE. Follow Chris on Twitter @ACCooksonWriter and “like” us on Facebook at Novel2Screen, or just follow this blog. Take a look at “Bunheads” with Sutton Foster. Must be available on Netflix ir some other streamer. Not exactly the same but reminds me of it— dancer ends up teaching ballet to kids in a quirky California town. Only lasted 2 seasons but was FABULOUS!